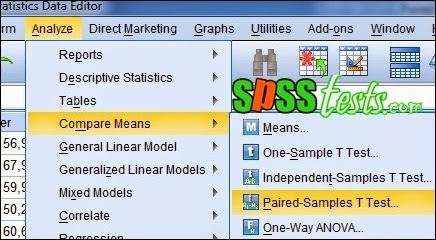 Paired Samples t-test Example Using SPSS | Paired Sample t Test is part of parametric inferential statistics. Paired sample t test was used to determine whether there is distinction has an average of two samples are paired. Requirements that must be met prior to the Paired sample t test is normally distributed data must. If the value of Sig. 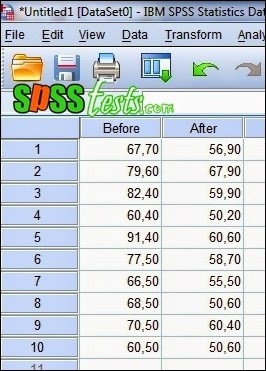 (2-tailed) < 0.05, then there is a significant difference. If the value of Sig. 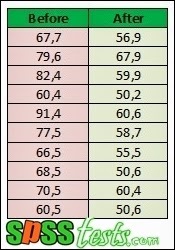 (2-tailed) > 0.05, there is no significant difference. Based on the output of the above in mind the Sig. (2-tailed) 0.000 <0.05, it can be concluded that there are significant differences in weight before and after drinking herbal diet. 0 Response to "Paired Samples t-test Example Using SPSS"